Australia embarrassed India in the constant Test of the series by an innings and 68 runs as Ben Hilfenhus kept them wondering by taking five important wickets in the second innings. India was restricted on 191 runs in their first innings, Australia smashed 659 runs for the loss of four wickets assisted with triple ton by their skipper Michael Clarke and centuries by Ricky Ponting and Michael Hussey. 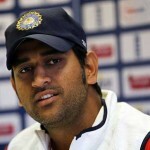 India was bowled out for 400 runs as their second innings was folded back by the quality bowling of the home side. Clarke was declared ‘Player of the match’ for his amazing performance with the bat as he thrashed unbeaten 329 runs. The match ended on January 6, 2012, one day ahead of the schedule at Sydney Cricket Ground. India commenced the fourth day at 114 runs for the loss of two wickets, Gautam Ghambhir was unbeaten on 68 and Sachin Tendulkar was holding the other end at eight runs. The Kangaroos required eight wickets to win the match as all eyes were fixed on Tendulkar to take the visitors out of trouble by capturing a unique landmark of his career and get some consolidation for them. Both batsmen started the fourth day in style by accumulating 10 runs in the first over of the day bowled by James Pattinson. 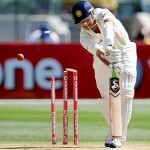 Tendulkar demonstrated his aggression by dispatching consecutive fours in the next over from Ben Hilfenhaus. The initial momentum by the batsmen came to its destiny when Ghambir was caught superbly at point by David Warner off Peter Sidle once he had scored 83 runs. The third wicket fell at 168 runs after adding 68 in between them when the struggling in his form VVS Laxman joined in with Tendulkar. Laxman got life as he was dropped by the wicket keeper off Siddle when had not opened his account even. He utilised the chance fully, started playing his strokes and dispatched a four nearly in each of the following overs. 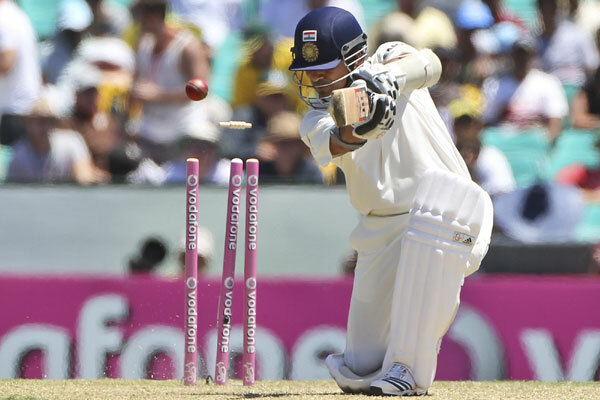 Tendulkar looked solid at the other end and completed his fifty on the fifth ball of the 57th over. The experienced duo kept consolidating the innings and Laxman finally got first fifty of the series in the 72nd over. India faced the biggest shock of the day when the little master was caught in the first slip by Hussey as the ball deflected from the gloves of the keeper and he snatched it. Clarke was having a dream Test as he got the most important wicket of Tendulkar when the batsman had scored 80 runs. The fourth wicket contributed 103 runs and Hilfenhaus added miseries to the visitors when Laxman was clean bowledat 66 runs. The fifth wicket was lost after the addition of just three runs at 271 and the next two batsmen, Virat Kohli and MS Dhoni surrendered their arms cheaply and the visitors were reeling at 286 for the loss of seven wickets. All rounder Ravichandran Ashwin played a brave knock of 62 and had some support from Zaheer Khan who contributed 35 runs. The whole team was sent back to pavilion at exact 400 runs in 110.5 overs. Hilfenhaus was the star performer for the Aussies with five wickets, Siddle got two as Pattinson, Nathan Lyon and Clarke chipped in with one wicket each. Australia won the match comprehensively by an innings and 68 runs and leading the four Test series 2-0. Would it be a successful final Australian sojourn for India’s seniors?